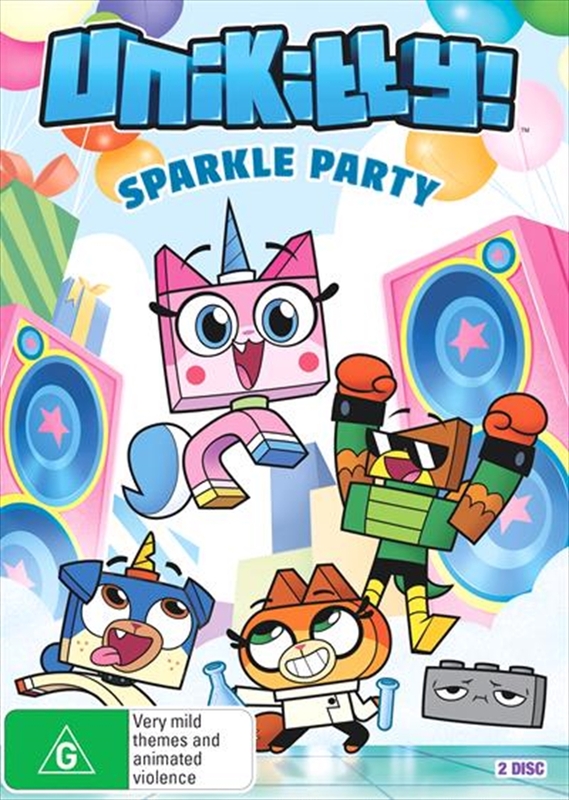 Transporting viewers to a joyous kingdom full of sparkle matter, happy thoughts and the occasional rage-out, this all-new animated series follows Unikitty and her friends into a world full of adventure, excitement and dance parties. As ruler of the kingdom, Unikitty has busy days full of royal responsibilities. Unikitty is most interested in making sure everyone is happy and ridding the kingdom of negativity, but dont misunderstand her optimism she is one kitty not to be crossed. While she may be full of boundless energy and creativity, Unikitty is a force to be reckoned with if anyone gets in the way of spreading her positive vibes, especially if anyone makes her little brother and best friend, Puppycorn, sad. Also living in the castle are Dr. Fox, the resident scientist, and Unikittys trusty bodyguard, Hawkodile. Through it all, Unikitty and her friends make sure that every day is the happiest and most creative ever.